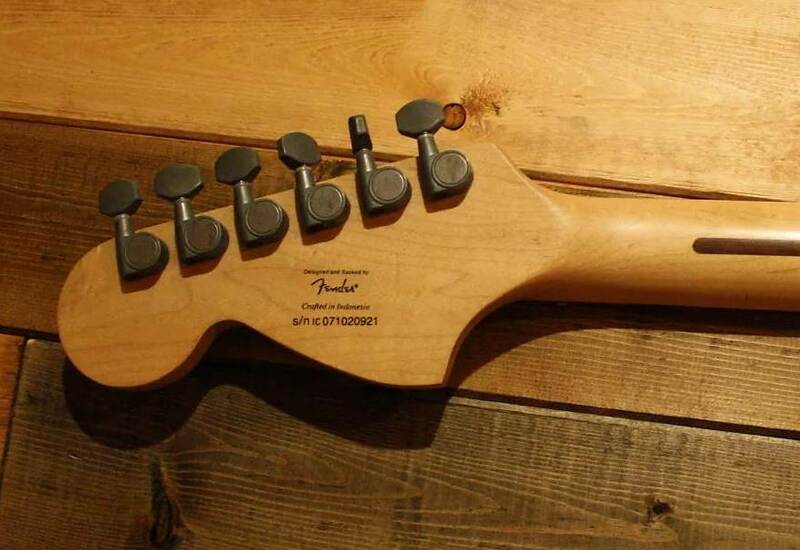 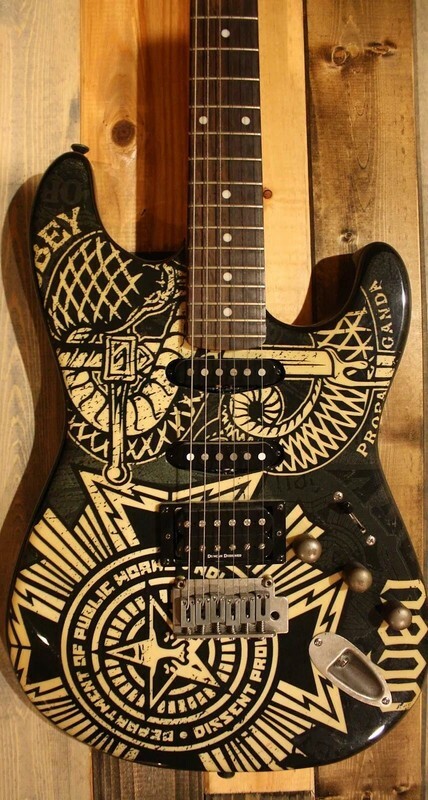 Hardware: Unplated "Rustic And Worn"
The OBEY Graphic Series from Squier combines electric guitars with distinctive art and killer vibe to form truly inspirational “freedom of expression” instruments. 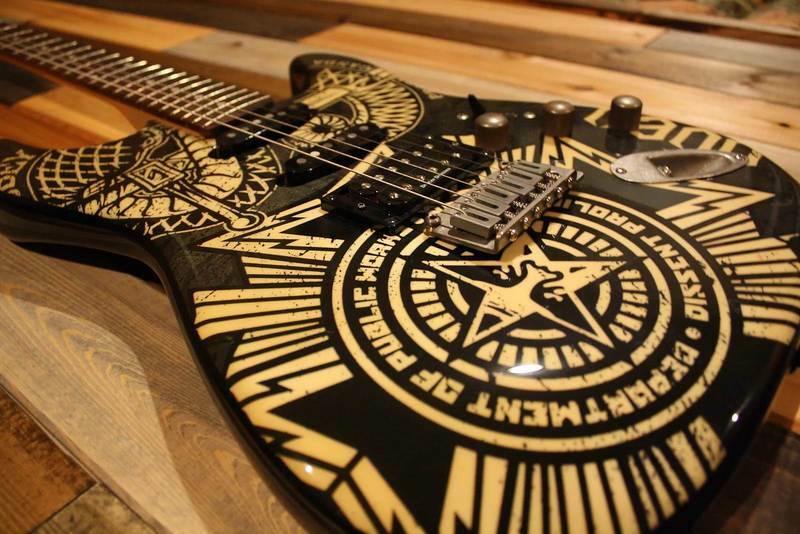 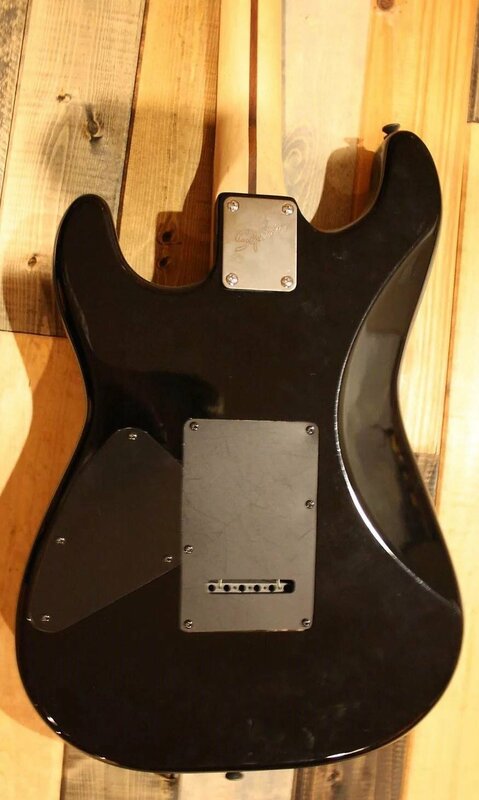 Features include unique graphic art designs by renowned artist Shepard Fairey, Duncan Designed humbucking pickups and special “RusticAndWorn” hardware. 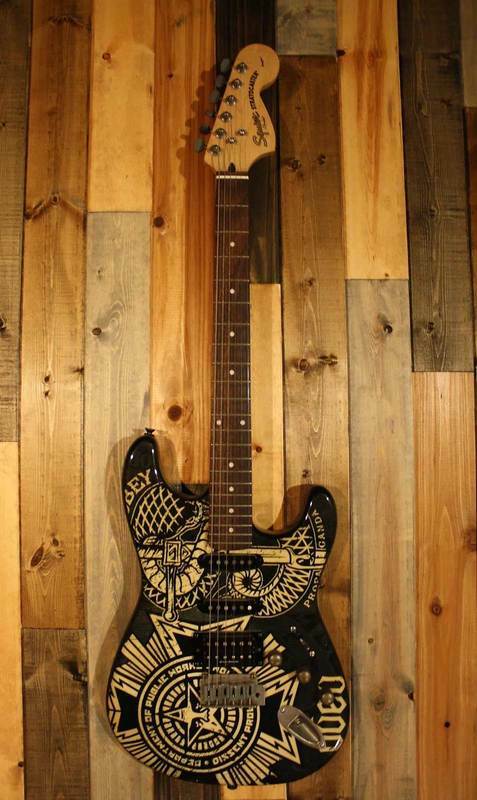 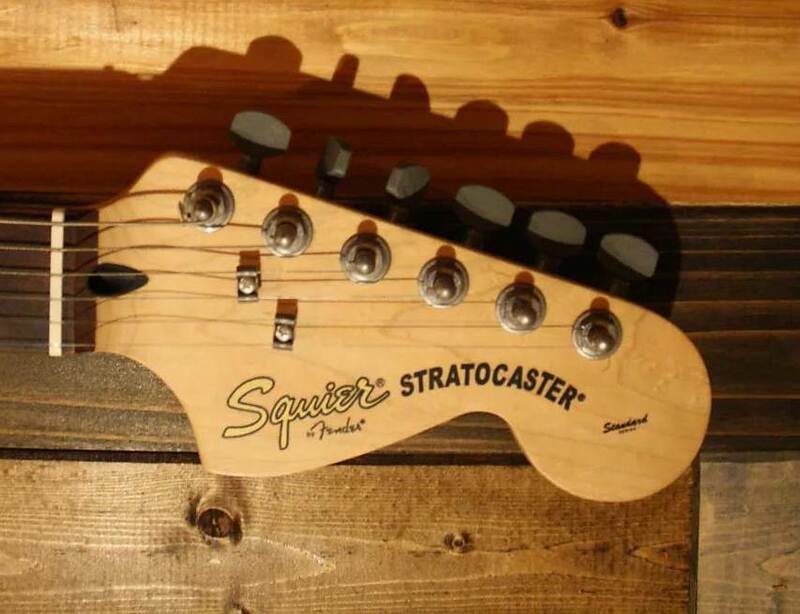 Squier’s OBEY Graphic Stratocaster HSS Dissent puts an awesomely eyecatching spin on a classic Fender instrument, with a distinctive Shepard Fairey design theme.